You must use Guardian to configure this port. 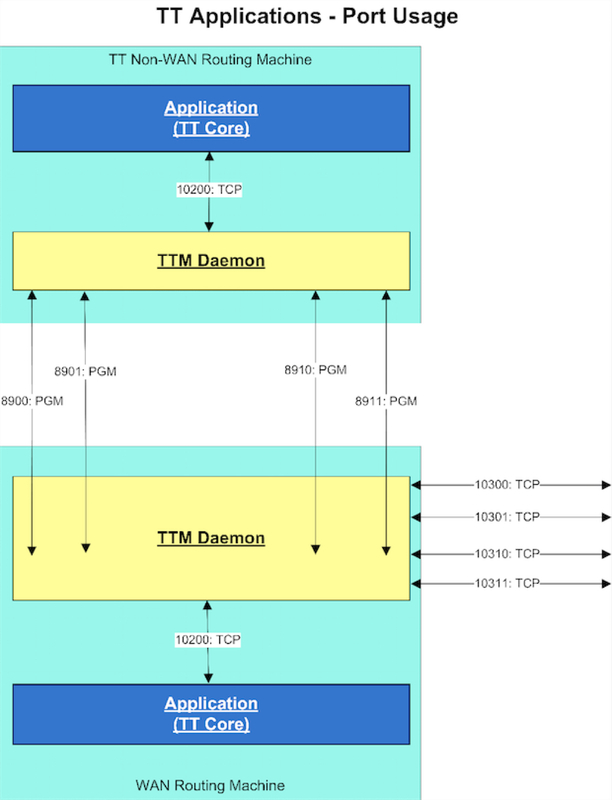 TTM uses service numbers to determine the PGM ports on which it sends network communication. Whenever a TT application produces data for network transmission (i.e., a heartbeat, an order, a fill, etc. ), it assigns a service number to a communication channel over which it sends the data to TTM. TTM reads the service number of the communication channel and determines the PGM port it must use. TTM then transmits the data over that port.